and for Wide Screen Monitors up to 1920 x 1200. Where to plant them, how tall they will grow, what part of Australia they will grow in, attracts birds/butterflies, bush-tucker, perfume and much more. 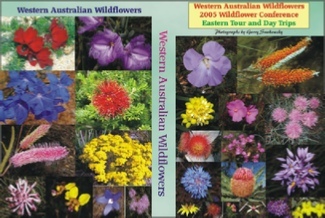 The first CD contains an installable slide show of the images with a text overlay, showing the name of the plant. 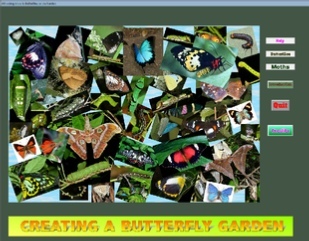 Once installed, the slide show program can be used to view any jpg images that you have on your computer. The second CD has all the images grouped in named folders for the region where they were taken, but without the text overlay. In all there are about 860 images representing about 330 species. With these images you can make the most spectacular screen saver you ever saw! 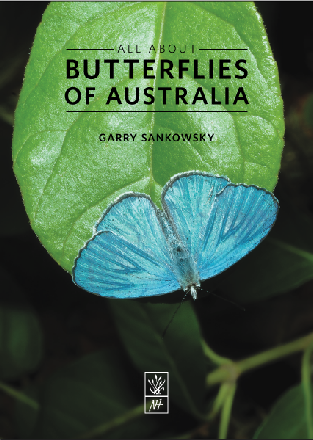 Everything you wanted to know about individual butterflies (and some moths). These profiles will be in PDF format and will sell for $5 each - download only. This one has 18 pages, with large spectacular images. These will be high resolution PDF files (300 dpi print resolution) so professional print output can be achieved. This makes the files fairly large but the stunning quality of the printed result is worth while. Buy special copies signed by the author. 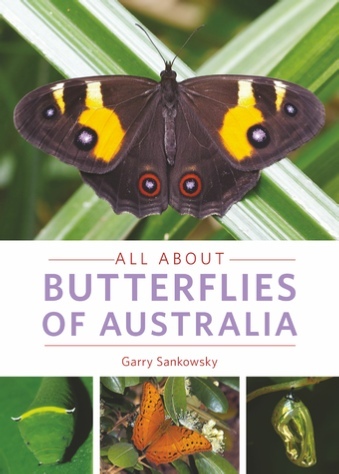 This book contains a vast amount of information about butterflies, with real live butterfly photographs rather than the usual pinned specimens. Click here for more details and ordering. What Defences do Butterflies have? What are the Threats to Butterflies? 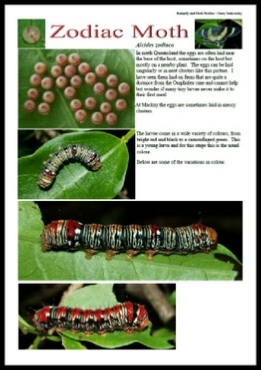 What are the Butterfly Families? Can I breed My Own Butterflies? Do We Have Many Moths in Australia? 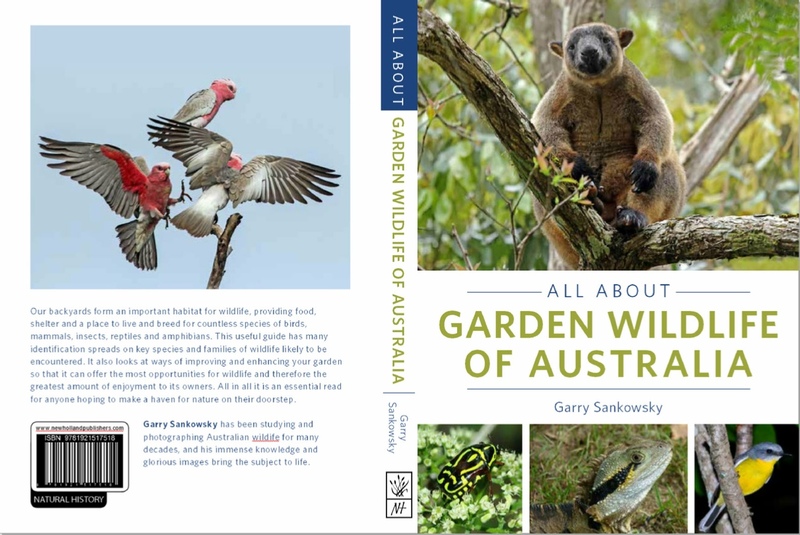 This book gives a broad overview of the various creatures that may be found in an Australian Garden. What Wildlife am I likely to see in the Garden? What Garden Wildlife can be seen at Night? How do I Attract More Wildlife to my Garden? Should Food Be Placed Out To Attract Wildlife? Are Nest Boxes and Hollows Useful? Click on the various links to get more information about each product. The link will be valid for 5 days. The setup program will set up three different versions on the Start Menu. Select 1024-768 for laptops with small screens. 1280-1024 for computers with 4:3 ratio monitors. 1920-1080 for desktop monitors or laptops with HD or larger screens.